Think you know everything about DevOps? Experts debunk five of the most common misconceptions. "DevOps" is a term that gets thrown around a lot, but sometimes even seasoned software developers don't fully grasp all of its nuances. Far more than a switch that organizations can turn on and off, DevOps is a fundamental shift in how companies think, work and innovate. Just how accurate are your DevOps beliefs and assumptions? 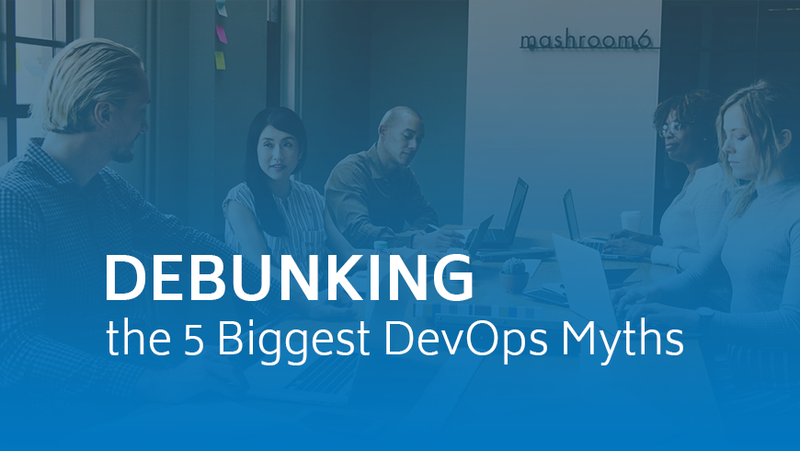 We asked experts to weigh in on five of the most pervasive myths surrounding DevOps. Not true—Erik Gfesser, principal architect at digital consultancy SPR Consulting, says this myth is based largely on a misunderstanding at the executive level. In some enterprises, management sees development processes as the same as the technology they utilize. But, while advanced tech can enable faster development, DevOps is first and foremost a mindset and methodology, says Gfesser. "DevOps is about the way work is done, not the specific tooling that is used to do the work," he says. "The idea is that development and operations teams collaborate on software production, an approach that streamlines work for greater efficiency." DevOps enables more effective production because of this joint effort from conception to deployment, not because it uses more advanced technology, Gfesser explains. Traditionally, developer and operations teams are separated during the actual development process, so operations personnel are unaware of the reasoning behind the features and functions of a new product when it comes time for deployment. And operations teams can smooth the way for developers during the actual build by providing the resources they need when they need them. "When developers are empowered with the ability to procure what they need, turnaround time is typically much shorter," Gfesser says. DevOps can improve security, and even should improve it, due to closer collaboration between engineers and security professionals and greater use of automation tools, Barbin notes. But, he warns, “cultural norms, processes and workflows need to support the collaboration between DevOps and security personnel."